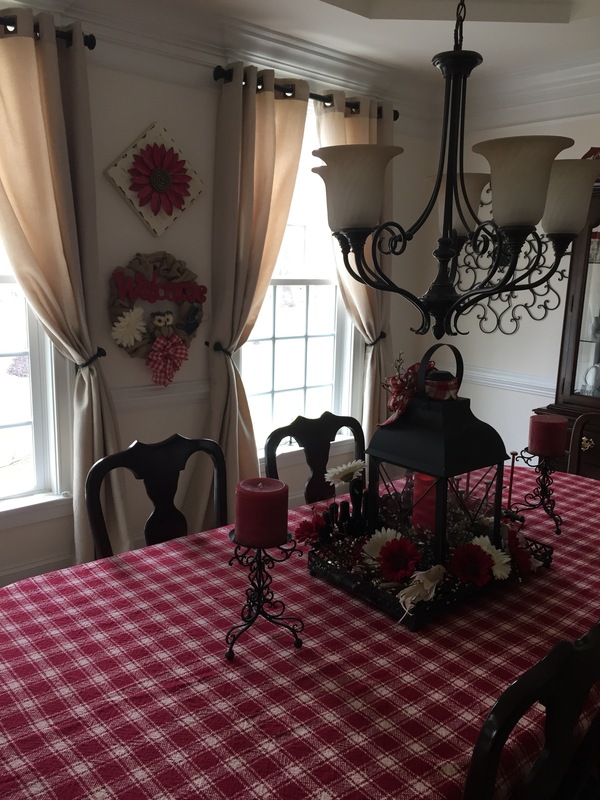 It is a rainy, rather dreary Monday afternoon here in Virginia so I thought I’d sit down and put together this little post about my dining room lantern centerpiece and also show you how I transform it to match the season or Holiday. I found the large lantern featured in this post in a local country store and for its measurements, please refer to my “A Lantern Centerpiece For All Seasons” blog post; where along with the lantern’s measurements, I also give a bit of a tutorial showing you how to put one of these centerpieces together. 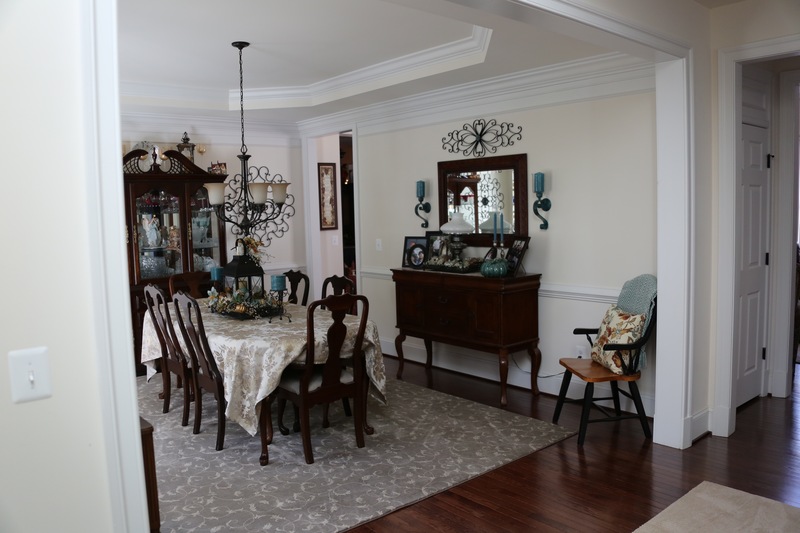 I’ve been using a very pretty country sea foam green as my accent color in the dining and living rooms; I love the light and airy touch that it adds to a room. I have been pairing it with grays and taupes and have been very happy with how it has all come together. 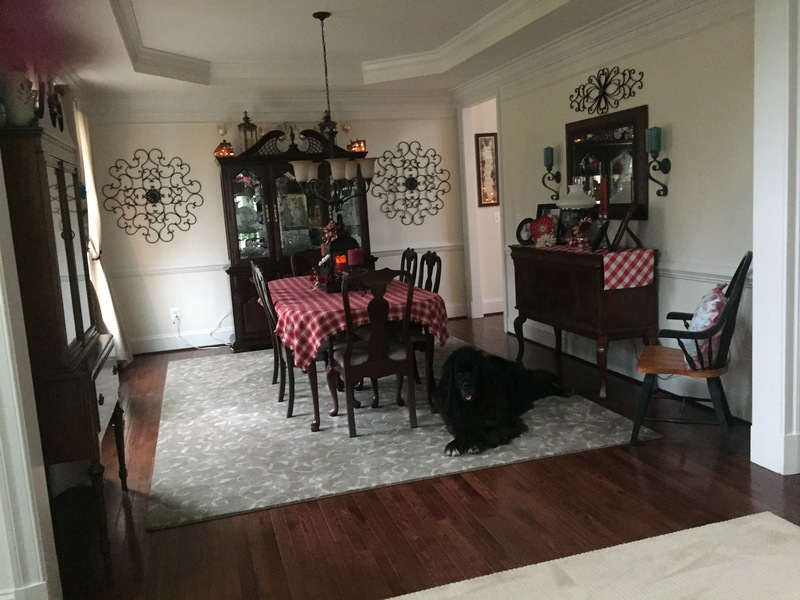 It has been a bit of a challenge for me to stay in my country comfort zone while using that accent color, but I do believe I’ve successfully kept my decor warm and have created some cozy groupings, arrangements, wreaths, and centerpieces to keep within the country theme. 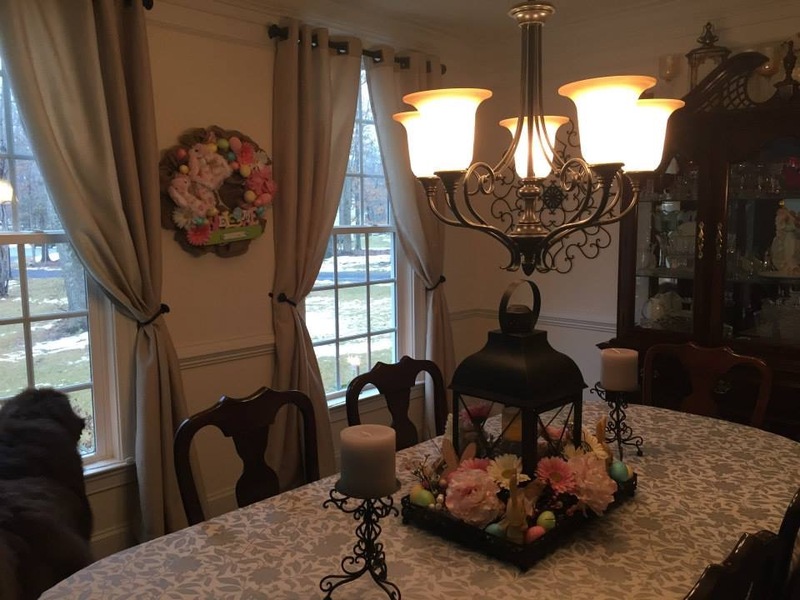 Easter was the next Holiday, in years past, I haven’t typically decorated for Easter, but this lantern inspired me to create a new centerpiece. 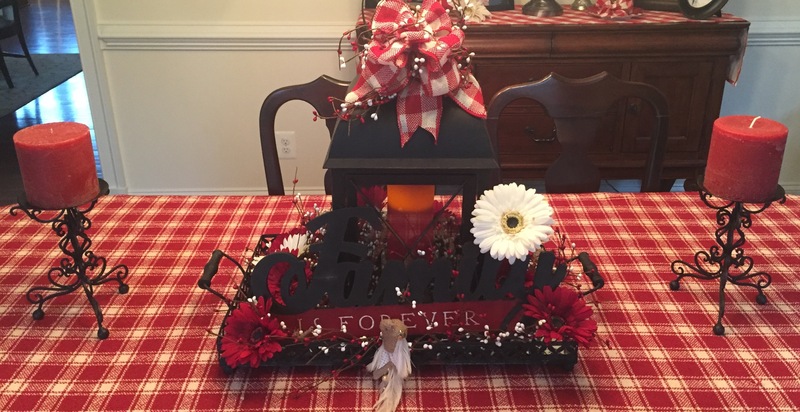 Next, I needed something to go with our family reunion decor, so I switched out the tablecloth and a few other decor items that helped me incorporate my red and white gingham, gerber daisies, and mason jars reunion theme. 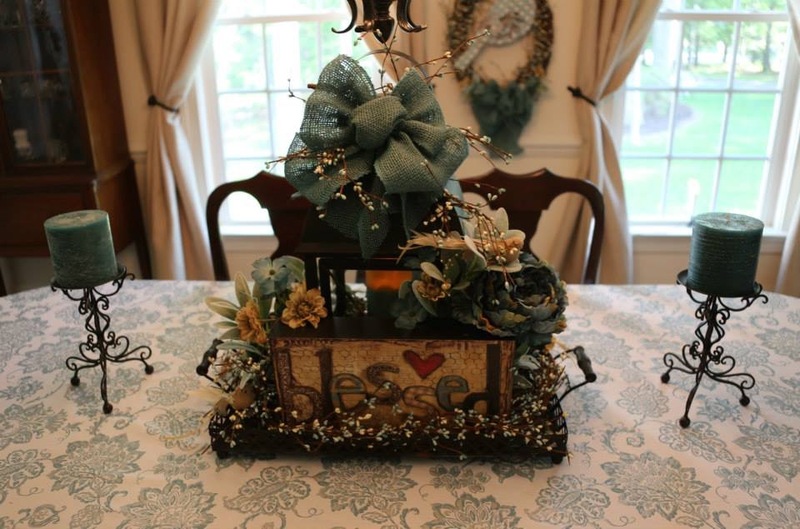 This centerpiece and the red and white accents only stayed in there for the day of the reunion. 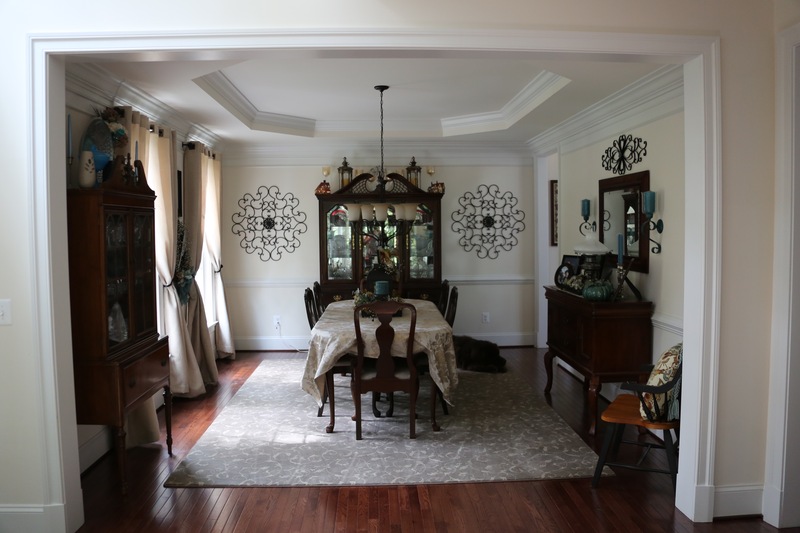 The Fall decor in this room is quite subtle, but I’m happy with how it looks. I feel that it still looks warm, inviting, and cozy despite not using all of the typical Fall colors. 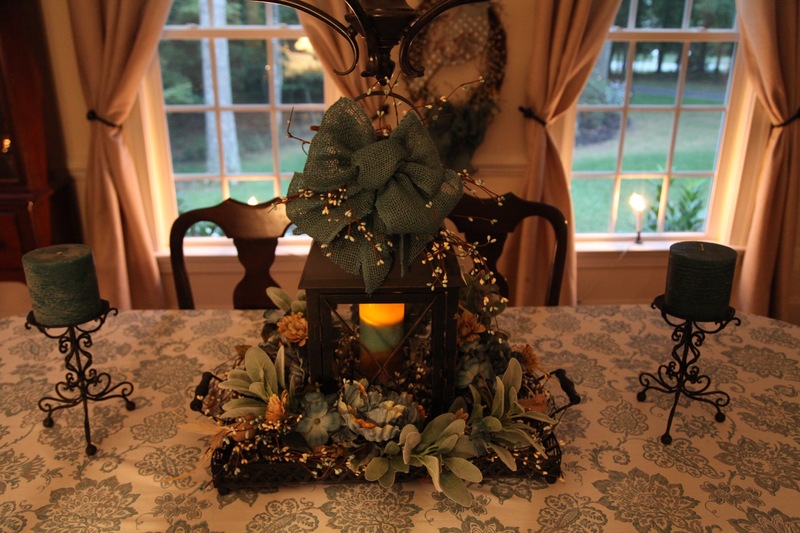 I cannot tell you how much I am enjoying working with these lanterns and creating all of these different centerpieces. I do use lanterns in other capacities as well–a subject for another blog post. 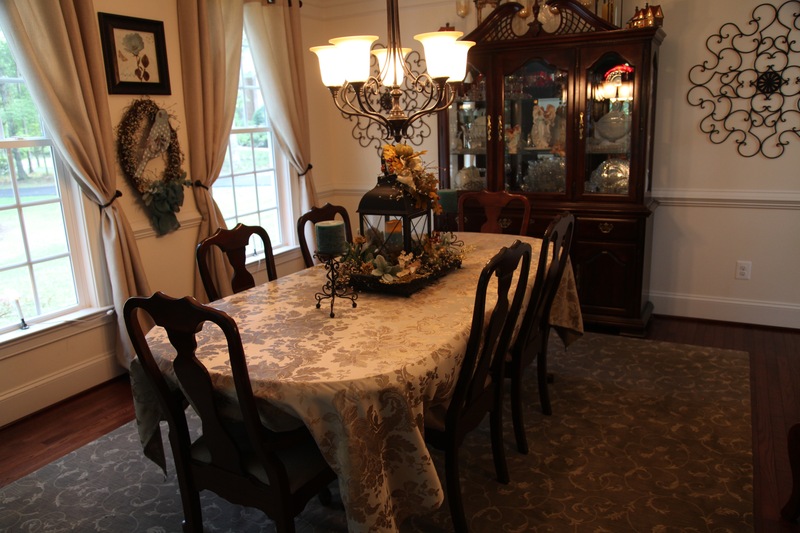 😉 I do feel as if the softer green color lends itself to a ‘fancier’ centerpiece; I don’t want it to be too formal in the dining room, but I do want it to be a bit lighter and airier in design.